Before a light therapy session, it is always advisable to apply a cream to amplify the effects of the red led session. With Collagenetics 2 in 1 Face and Body Lotion, you have a complete treatment that acts against skin aging and activates tanning at the same time. Give your complexion a boost! 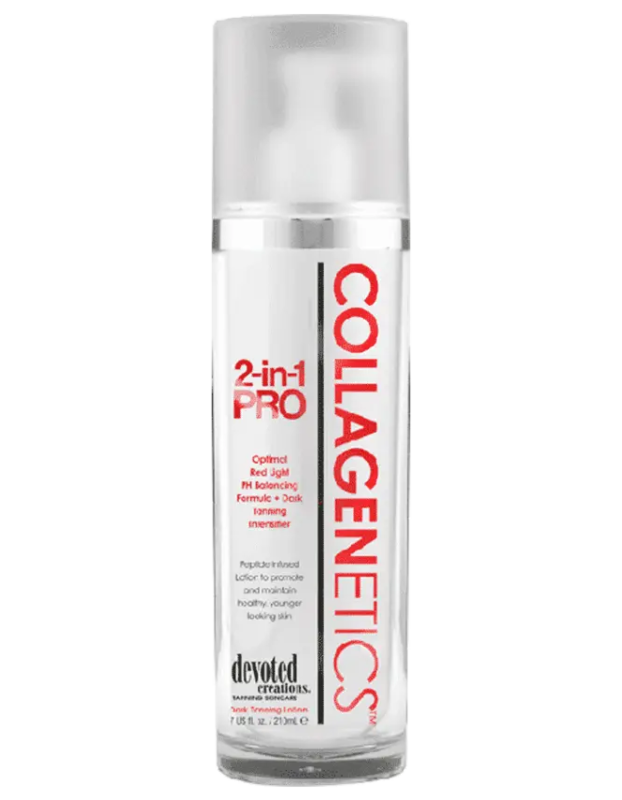 Whether you have a led therapy session to perform or a tanning treatment, Collagenetics 2 in 1 lotion helps to activate them. It can be applied to the face as well as the body and acts as a catalyst for your led session to obtain a more dynamic result. Practical and very effective, it is the care you need to regenerate and gild your skin. Which LED colours should I use with Collagenetics 2 in 1 lotion? Photomodulation cream is particularly active with red led therapy. This light activates the heart of the cells to produce collagen to regenerate the dermis. This photosensitizing lotion is also used with ultraviolet lights for tanning. It protects the dermis while multiplying the effects of light tenfold for a quick tan. 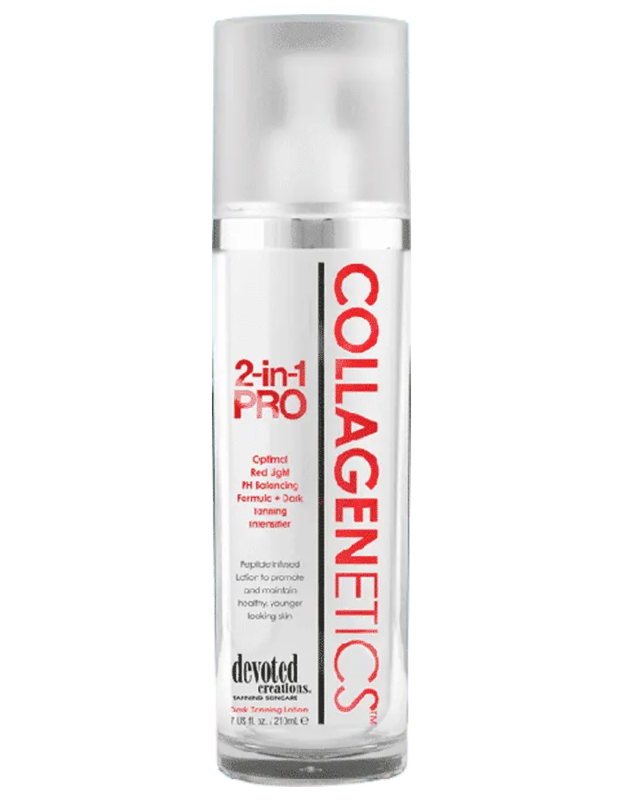 For what use should I use Collagenetics 2 in 1 pro? This light therapy treatment activating lotion is truly magical. Very pleasant on the skin, it penetrates deeply into the tissues to prepare them for the photomodulation session of your choice. Thanks to its dual use, you can schedule your rejuvenation session by red led and then continue with your tanning treatment without having to apply another product. Practical and easy to use, it will quickly become your essential ally to take care of your skin.